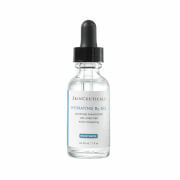 Get overnight results with SkinCeuticals Renew Overnight Oily. 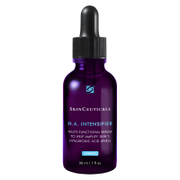 It contains a 10% blend of AHA's that exfoliates the skin and clear the pores, leaving skin smooth and wrinkle-free. It replenishes the skin with moisture without being heavy or greasy. 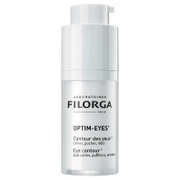 Ideal for those with combination-to-oily, aging or acne-prone skin who want smooth, clear and balanced skin. After cleansing and toning at night, gently massage onto the face, neck and chest. This is my favorite overnight moisturizer. It doesn't break me out and I wake up to a very moisturized face. This night lotion made a difference after one use! My face always feels like it's glowing with small pores and zero redness when I wake up. Best for combination to oily skin. This is a good moisturizer for my acne prone skin. My skin feels soft and hydrated. However, I do not notice any of the other results that are expected as described by the product claims. I am loving this product. My skin is always very oily in the morning and this product is really helping with that. A little bit goes a long way and I am not having any of the irritation that others have talked about. Great product! I have combination skin and feel this is the only product which doesn't make my skin worse! Gave it 4 stars because it tends to be a bit harsh on the drier areas of my combo skin. Feel skin softer in the morning, but it made my skin irritated. The smell is strong. It did nothing with my breakouts. I feel wasting money on this. Love this product. Very nice texture. This is a great moisturizer for acne prone skin. The only negative is that it contains parabens. I put this on while I'm watching tv it goes on easily and sinks into my skin quickly. I've felt some of my rough spots soften. Can't wait to see the results in a month from now.